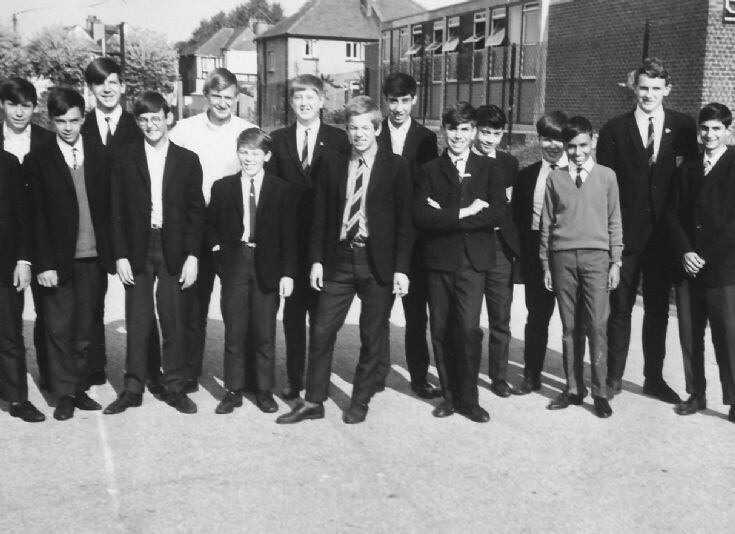 4th Year students of 1966. From the Phyllis Kind Collection. back l-r. unknown, Roger Pryor, Alan Slack, Barry Dinner, Philip Angelides, Gene Lariviere, Steve Wright?, Phillip Rigotti. Front left Roy Parker, James Conduit. Michael? Steve Norton, Andrew Louizou, ? Far right George Papageorgiou. Must have been camera shy when photo was taken, my name Gary Nicholas. Students in my class 1966/67. Phillip Rigotti was my best friends brother. I know Phillip was a great basketball player and his parents had an Italian Restaurant. His brother is Julian and we used to play doubles in the badminton team. I used to wash up part time at Rigotti's, late sixties, and Phillip would pop in occasionally. Particularly if he was hungry or had his eye on a waitress! Hi Keith. Unbelievable. First contact I've had with Friern Barnet schoolmates. As I said, Phil was my best mate's brother, Julian.